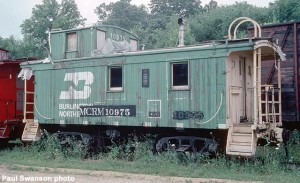 BN 10975 caboose before painting, August, 1983, 35mm Kodachrome transparency. Paul Swanson photo. 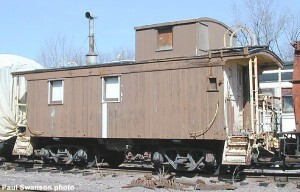 This 24-foot caboose was built by the Northern Pacific as their #1781 in 1923. 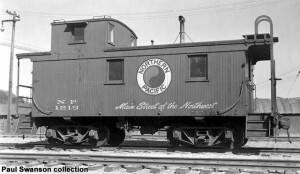 The 24-foot caboose design standard first appeared on NP in 1907 as a block of one hundred cars numbered erratically in the 1000-1300 series. A later lot of cars numbered in the 1600 series were rebuilt from 19-foot cabooses. By 1917, there were 328 24-foot cabooses on the NP roster. 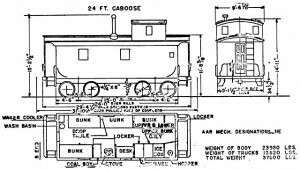 The last group of 24-foot cabooses were numbered in the 1700 series beginning in 1921. #1781 was contained within this lot. #1781 enjoyed a long service career. In 1970, the Northern Pacific was merged into a new railroad company called the Burlington Northern. 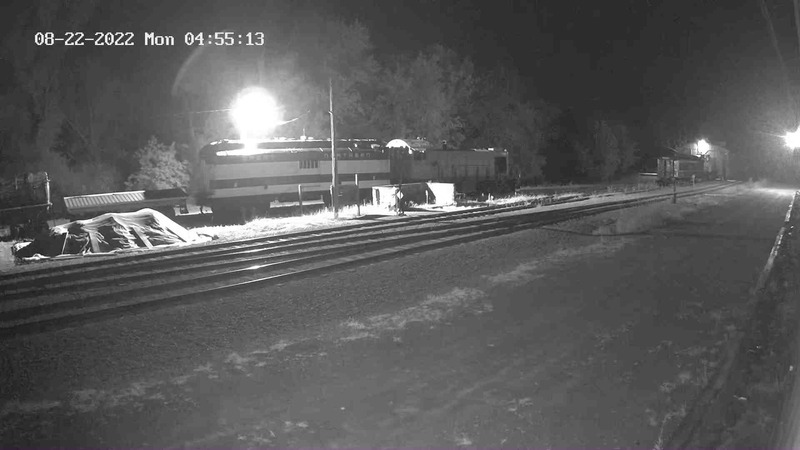 #1781 was renumbered to BN #10975 and painted in the BN’s cascade green and white paint scheme. The car incredibly served another twelve years and was finally sold to a private individual in 1982. 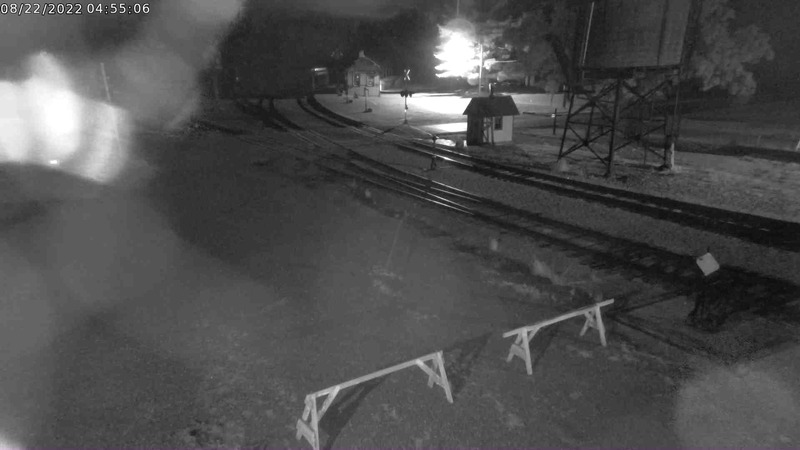 It was moved to North Freedom in October of that year and is presently used as bunk facilities.